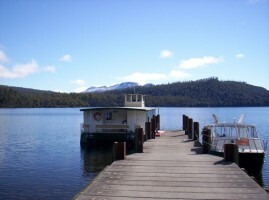 Cheaper car hire in Tasmania - Compare low cost SUV, MPV & minibus rental in Hobart and Launceston. Looking for good, cheaper car hire in Tasmania, Australia? We can offer discounted automobile rental rates, from renowned companies. Some of the suppliers we use in the Tazzy cities of Hobart and Launceston, are:- Thrifty, Redspot, Europcar and Sixt. All have a good range of cars, minivans and SUV to rent, with usual benefits included, just a better price than going direct. Thrifty have limited mileage, but are usually the cheapest and so the best option if just need to hire a car for running around town. Depends on the car hire company you choose, as not all of them do, but these companies have unlimited mileage policy:- Europcar, Redpsot and Sixt. Tazzy, as all the locals refer to it as, is off the south east corner of Australia. As Tasmania is surrounded by cool waters, the hottest temperature tends to be a comfortable 24C, which is about 70F. 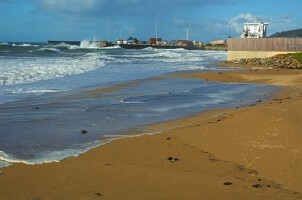 June to August is the wettest and coldest time to be on this island. Hobart Yacht Race is what Tasmania is most known for, when yachts set sail from Sydney Harbour on Boxing Day to arrive in Hobart before the New Year, although it has be known for some yachts not make this dangerous crossing. Lots of places to stop, including the popular Freycinet National Park, with camping at nearby Coles Bay. Move on and experience the splendid views of Wineglass Bay. This part of the coast offers excellent opportunities for fishing and diving and touring old convict ruins are a few of the many things that will keep you and your family entertained. 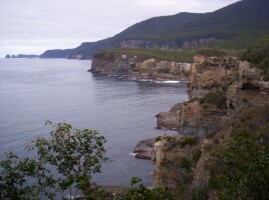 We offer cheaper auto hire in Tasmania. Pre-book for that holiday SUV rental from Hobart Airport. Budget vehicles found here for Launceston. If you land at Launceston Airport, then take the east coast route, that has scenic white sandy beaches. Another landing spot to start exploring Tasmanian is Hobart Airport. Need car hire in Australia?.